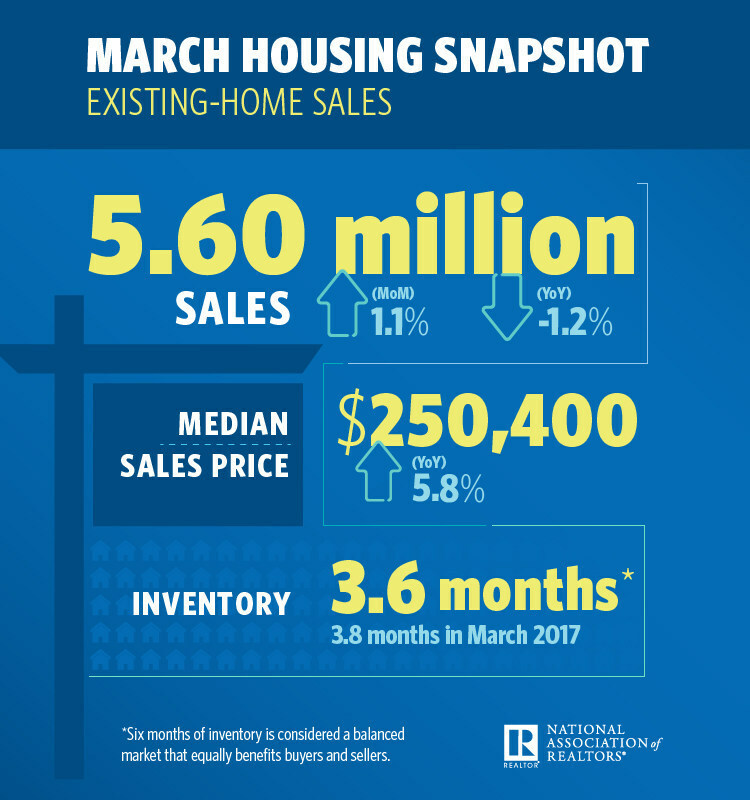 Building on February’s gains—and for the second time this year—existing-home sales have strengthened, the National Association of REALTORS® (NAR) reports. March sales increased 1.1 percent to 5.6 million, but they were down 1.2 percent from the prior year. Inventory increased, as well: 5.7 percent to 1.67 million, but 7.2 percent lower than the prior year. Currently, inventory is at a 3.6-month supply. Existing homes averaged a brisk 30 days on market in March, four days less than the prior year. All told, 50 percent of homes sold were on the market for less than one month. The metropolitan areas with the fewest days on market and most realtor.com® views in March, according to realtor.com’s Market Hotness Index, were San Francisco-Oakland-Hayward, Calif.; Vallejo-Fairfield, Calif.; Colorado Springs, Colo.; Midland, Texas; and San Jose-Sunnyvale-Santa Clara, Calif. The median existing-home price for all house types (single-family, condo, co-op and townhome) was $250,400, a 5.8 percent increase from the prior year. The median price of an existing single-family home was $252,100, while the median price for an existing condo was $236,100. Existing-home sales in the single-family space came in at 4.99 million in March, a 0.6 percent increase from 4.96 million in February, but a 1 percent decrease from 5.04 million the prior year. Existing-condo and -co-op sales came in at 610,000, a 5.2 percent increase from February, but a 3.2 percent decrease from the prior year. Twenty percent of existing-home sales in March were all-cash, with 15 percent by individual investors. Four percent were distressed. Two of the country’s major regions had higher sales, rising 5.7 percent to 1.29 million in the Midwest, with a median price of $192,200, and 6.3 percent to 680,000 in the Northeast, with a median price of $270,600. The South and West had reduced sales, falling 0.4 percent to 2.4 million in the South, with a median price of $222,400, and 3.1 percent to 1.23 million in the West, with a median price of $377,100. “Although the strong job market and recent tax cuts are boosting the incomes of many households, speedy price growth is squeezing overall affordability in several markets, especially those out West,” says Yun. 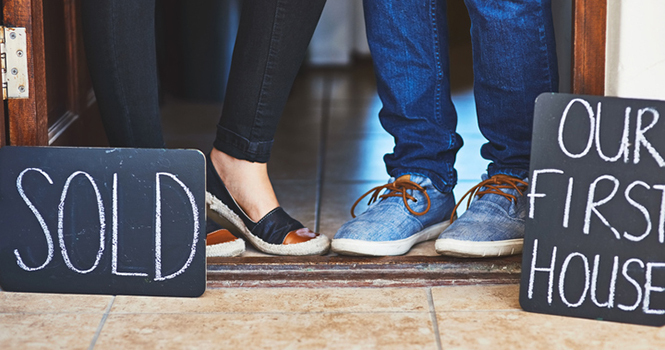 First-time homebuyers comprised 30 percent of existing-home sales in March, up from 29 percent February. According to Keller Williams Chief Economist Ruben Gonzalez, existing-home sales are on a familiar track.